LOGAN, UT – A special guest appearance by Gigi Butler, founder of Gigi’s Cupcakes, will highlight the grand opening celebration for the new Gigi’s Cupcakes at 975 N Main St Suite 120 in Logan, Utah. The Logan location is the first in Utah, with Gigi’s Cupcakes now open in 24 states. There will be a ribbon cutting on Friday, August 3rd at 11:00AM with the local chamber of commerce. The grand opening celebration will take place on Saturday, August 4th, from 11:00AM to 1:00PM. Gigi will make a special appearance in-store, giving customers a chance to meet the culinary creator behind the popular brand, along with live radio shows from the store with 92.9 KBLQ and 94.5 KVFX. Starting Monday, July 30th, customers can enter to win prizes including KitchenAid mixers, Gigi’s gift cards, and more. Prize winners will be announced Monday, August 6th. Gigi’s awarded a multi-unit franchise agreement to enter Utah to Logan owner Matt Weston. Prior to bringing Gigi’s to Utah, Weston worked in his family business operating and managing hotels. Looking for a new opportunity that could involve his wife Launa and their seven children, he decided to utilize his background in hospitality and love of baking to open a Gigi’s in his home state. Best known for its signature “Gigi’s swirl,” the bakery offers a variety of gourmet desserts, including 300 rotating cupcake flavors with sugar free and gluten free options, mini cupcakes, custom cakes, cheesecakes and stuffed cookies. More information on Gigi’s Cupcakes is available at www.gigiscupcakesusa.com. Founded in 2008 by Gina “Gigi” Butler as a local boutique bakery in downtown Nashville, Tenn., Gigi’s Cupcakes has grown into America’s favorite cupcake franchise with nearly 100 locations nationwide. 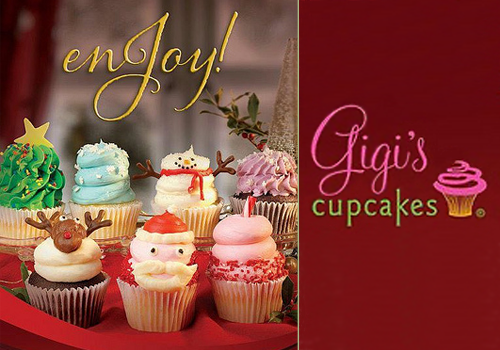 Gigi’s Cupcakes offers a wide variety of high-quality, freshly baked goods, including cupcakes, cakes, pies, cookies and more all made from recipes created by Gigi, whose American Dream story has inspired people across the country. More information on Gigi’s Cupcakes is available at www.gigiscupcakesusa.com. ServiceMaster Global Holdings, Inc. (NYSE: SERV), a leading provider of essential residential and commercial services, today announced it has promoted Robert Doty to senior vice president and chief information officer. Doty has served as interim CIO for ServiceMaster since March 2018, leading the IT spin strategy for American Home Shield, while continuing to provide leadership for other ServiceMaster businesses including Terminix and the Franchise Services Group. Most recently Doty served as vice president of IT, leading enterprise infrastructure and security, and American Home Shield IT operations. He joined ServiceMaster in 2014 and held various IT leadership roles at the company, driving innovation and modernization processes across all IT systems. Previously, Doty held leadership positions with Nissan North America where he oversaw infrastructure operations for contact centers and financial transaction applications, and large-scale systems implementations. Prior to this, he was a consultant with Oracle. Doty earned a bachelor’s degree in computer information systems from the University of North Texas, and has a master’s degree in business administration. 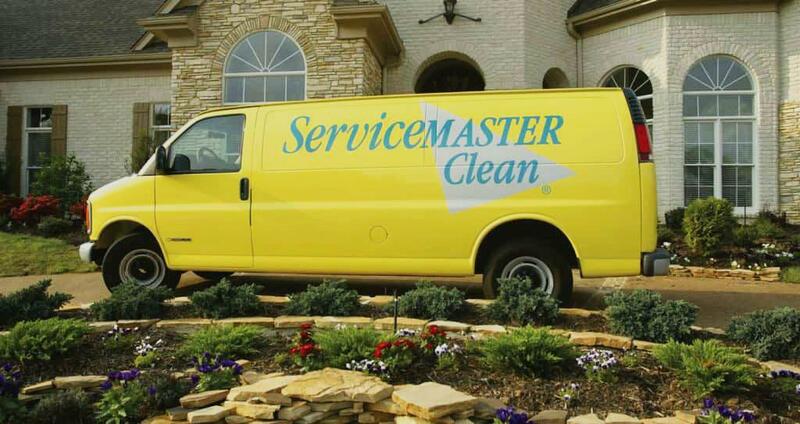 ServiceMaster Global Holdings, Inc. is a leading provider of essential residential and commercial services, operating through an extensive service network of more than 8,000 company-owned locations and franchise and license agreements. The company’s portfolio of well-recognized brands includes American Home Shield (home service plans), AmeriSpec (home inspections), Furniture Medic (cabinet and furniture repair), Merry Maids (residential cleaning), ServiceMaster Clean (janitorial), ServiceMaster Restore (disaster restoration) and Terminix (termite and pest control). The company is headquartered in Memphis, Tenn. Go to servicemaster.com for more information or follow the company at twitter.com/ServiceMaster or facebook.com/ServiceMaster. Want to win a trip to Las Vegas or Honolulu? Beginning today, Piece of the Pie Rewards® members can enter for the chance to win a trip for two to any Domino’s Hotspot in the country as part of Domino’s Hotspots Pie and Fly Sweepstakes. Piece of the Pie Rewards members are automatically entered for a chance to win when they place a delivery order to a Domino’s Hotspot. Domino’s, (NYSE: DPZ), the largest pizza company in the world based on global retail sales, will randomly select one winner each week from now until Sept. 9, 2018, awarding a total of six grand prizes. Each grand prize will include round-trip airfare for the winner and one guest to any city with a Domino’s Hotspot in the U.S. – places such as New York City, Orlando or Chicago – as well as hotel accommodations for two nights. Domino’s Hotspots are locations that don’t have traditional addresses – places like parks, sports fields and beaches – where customers can receive delivery orders. 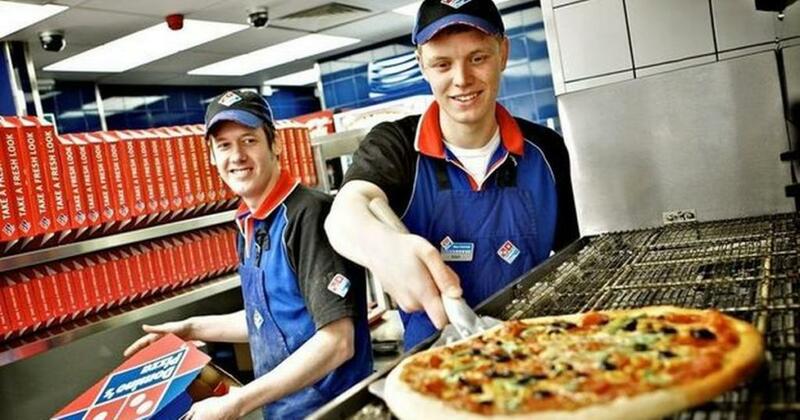 More than 200,000 Domino’s Hotspots are now active nationwide. Customers who aren’t enrolled in Domino’s Piece of the Pie Rewards program may do so at dominos.com/rewards. To locate the nearest Domino’s Hotspot, visit dominos.com/hotspots. NO PURCHASE NECESSARY. Open to Piece of the Pie Rewards Members who are legal residents of the 50 United States (D.C.) 18 years or older. Ends 9/9/18. To enter and for Official Rules, including odds, free method of entry, and prize descriptions, visit dominos.com/rewards. Void where prohibited. If you make a qualifying purchase, but would like to opt-out of this Sweepstakes, send an email to rewards@dominos.com with Domino’s Hotspots® Pie and Fly Sweepstakes in the subject line. Founded in 1960, Domino’s Pizza is the largest pizza company in the world based on global retail sales, with a significant business in both delivery and carryout pizza. It ranks among the world’s top public restaurant brands with a global enterprise of over 15,100 stores in over 85 markets. Domino’s had global retail sales of over $12.2 billion in 2017, with more than $5.9 billion in the U.S. and more than $6.3 billion internationally. In the second quarter of 2018, Domino’s had global retail sales of nearly $3.1 billion, with nearly $1.5 billion in the U.S. and nearly $1.6 billion internationally. Its system is comprised of independent franchise owners who accounted for over 97% of Domino’s stores as of the second quarter of 2018. Emphasis on technology innovation helped Domino’s achieve more than half of all global retail sales in 2017 from digital channels, primarily online ordering and mobile applications. In the U.S., Domino’s generates over 60% of sales via digital channels and has produced several innovative ordering platforms, including Google Home, Facebook Messenger, Apple Watch, Amazon Echo, Twitter and text message using a pizza emoji. In late 2017, Domino’s began an industry-first test of self-driving vehicle delivery with Ford Motor Company – and in April 2018, launched Domino’s HotSpots™, featuring over 200,000 non-traditional delivery locations including parks, beaches, local landmarks and other unique gathering spots. Papa John’s International, Inc. (NASDAQ: PZZA) today announced that Lead Independent Director Olivia F. Kirtley has been appointed Chair of the company’s Board of Directors by a unanimous vote of the Board. 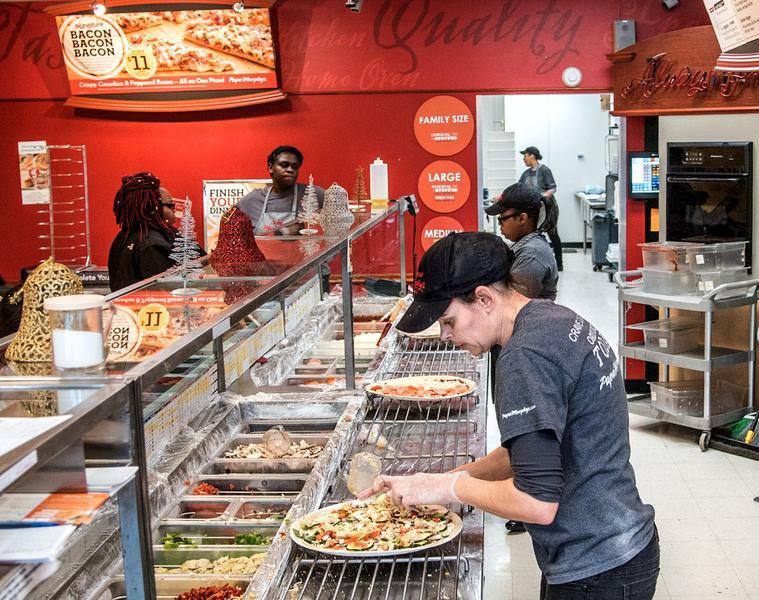 In addition, the company stated that the Corporate Governance and Nominating Committee of the Board has been conducting a search for additional independent directors and intends to engage with Papa John’s shareholders as part of this process. Ms. Kirtley, a certified public accountant, is a business consultant on strategic and corporate governance issues. Ms. Kirtley has served as the Board’s Lead Independent Director since 2017. She is a former chief financial officer and former senior manager at a predecessor to the accounting firm Ernst & Young LLP. She is the immediate past President and Board Chairman of the International Federation of Accountants. She has also served as Chairman of the American Institute of Certified Public Accountants and Chairman of the AICPA Board of Examiners. Headquartered in Louisville, Kentucky, Papa John’s International, Inc. (NASDAQ: PZZA) is the world’s third-largest pizza delivery company. In 2018, consumers rated Papa John’s No. 1 in product and service quality among national pizza chains in the American Customer Satisfaction Index (ACSI). For 17 of the past 19 years, consumers have rated Papa John’sNo. 1 in customer satisfaction among national pizza chains in the American Customer Satisfaction Index (ACSI). If you’re buying into a franchise, you’re probably about to make one of the biggest investments of your life. You’re likely spending hundreds of thousands of dollars and taking a great leap of faith. Maybe you’re taking out a small business loan or rolling over your retirement funds. Maybe you’re using your parents’ hard-earned money that you just inherited. Regardless of how much skin you’ve got in the game, you’re heavily invested in this new venture and there is a ton of risk involved. Forming an entity is one way to protect your personal assets and limit your risk. When John Smith signs a contract in his own name, John Smith is personally liable if things go south in that deal. 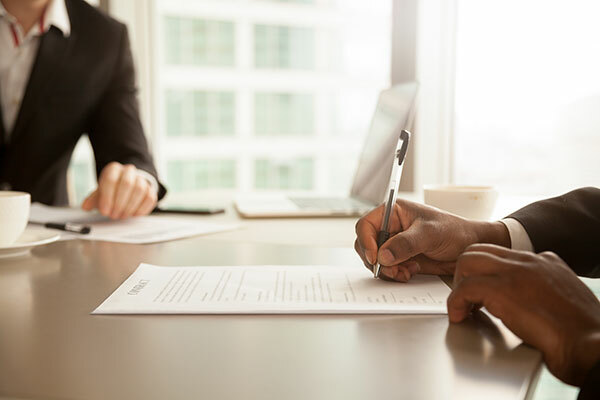 However, if John Smith forms Smith Holdings, LLC, and signs a contract as Smith Holdings, LLC, he is generally not liable for the obligations of that contract. The limited liability company that John Smith formed is responsible for performing the terms within that contract. This scenario applies directly to franchising. Before you sign your franchise agreement, you could form a business entity such as a corporation or a limited liability company. Then, if you sign that franchise agreement on behalf of your entity, you have greatly limited your personal exposure. Most franchise agreements require that the franchisee sign a personal guaranty. This isn’t a dealbreaker, it’s an industry standard. A personal guaranty will make you liable even if you sign the franchise agreement on behalf of an entity. Almost all franchisors require this, because they need to ensure their franchisees are all-in with the franchise. If a franchise doesn’t require franchisees to sign a personal guaranty, those franchisees could essentially walk away halfway through their terms with no consequences. With an entity in place, however, you’re still largely protected. For instance, if a man slips and falls in your store, he most likely won’t be able to take your house and the clothes off your back if you have an entity in place. He could sue your entity for negligence, but as long as you didn’t do anything malicious, he will likely only be able to get to the entity’s assets. Likewise, if your entity enters into contracts with vendors or employees, those parties would really only have claims against your entity—not you individually. The “limited liability” aspect of corporations and LLCs literally limits the liability of an entity’s owner. Some states are different though, and you should consult with a business attorney within your state for further guidance. By purchasing a franchise, you are putting your business and personal assets on the line, and it’s impossible to completely eliminate your risk. However, you can balance that level of risk against the potential reward your franchise offers. You can also limit your personal risk for non-franchise issues like personal injury and negligence by forming an entity—and the low cost of doing so is worth the personal protection. Jonathan Barber exclusively practices franchise law as a partner at Barber Power Law Group in Charlotte, North Carolina. He has assisted hundreds of franchisees with their FDDs and buying into franchises all over the world. Barber also represents emerging and established franchisors. Entrepreneurs are dreamers, innovators, and go-getters. They are driven enough to start their own businesses. Many, however, lack the funding needed to open the doors. Or, do they? There are plenty of ways to fund a franchise. Yes, you can borrow from the bank or find investors; of course, that means you’ll be starting your business in debt. But what if you had a pile of cash that allowed you to start your franchise cash-rich and debt-free? If you have money in a qualified retirement plan, you are cash-rich and can fund your franchise with a process known as Rollovers for Business Start-up (ROBS). How does ROBS funding work? A Rollovers for Business Start-up plan lets you use existing qualified retirement account funds, such as a 401(k), 403(b) IRA, or other qualified retirement vehicle, to fund your franchise tax-deferred and penalty-free. Because of the way a ROBS is structured, you can still contribute funds to a tax-advantaged retirement account as your business grows, enabling you to continue to plan for your retirement. Step 1: Establish a Corporation. In order to be eligible for a ROBS arrangement, you must form a new corporation. Step 2: Create a New Retirement Plan. The corporation will sponsor a new retirement plan that has provisions allowing investments in the parent corporation stock. Step 3: Transfer Retirement Funds. Once the plan is established, your existing retirement funds will be rolled over to the new plan. Because the funds are rolling from one qualified plan to another, no taxes are due and there are no withdrawal penalties. Step 4: Launch the New Business. Once stock is purchased in the new corporation, you now have the cash to invest in your new franchise. Tax Benefits. Under the ROBS plan, you maintain tax-deferred status and do not face any early withdrawal penalties. Flexibility. 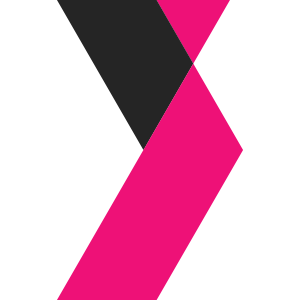 The funds can be used for many different purposes. The money can be used as a cash injection for an SBA loan (Small Business Administration), to pay franchise fees, build or renovate a site, or buy equipment. You can even use the funds to pay yourself a salary. If you don’t need the money, don’t spend it—you aren’t required to use all the funds you’ve transferred. Ease and Speed. In some cases, you can get access to your funds in as little as 10 days. Funding isn’t dependent on your credit. Unlike other borrowing options, a ROBS doesn’t impact your personal credit. If you borrow any money for your business, your personal credit may suffer. Plus, if you have issues with your credit, you can still use the ROBS for your franchise. Peace of Mind. Using your retirement plans means you are not incurring additional personal debt. And you’re spared the headache of negotiating with lenders for funding. Need help figuring out how to best fund your franchise? Benetrends helps entrepreneurs make their dreams a reality. The ROBS program, known as the Rainmaker Plan®, provides guidance and support, so you can focus on your business. To learn more, visit www.benetrends.com. Today, Chili’s® Grill & Bar Team Member (better known as ChiliHead internally), Robert Valencia, accepted the 2018 National GED Testing Service Award during the Annual Testing Service Conference hosted in San Diego, CA. The National GED Testing Service Award recognizes students who have earned their GED credential in the past year and demonstrated exceptional dedication and achievement throughout the process. Robert has been a dedicated ChiliHead since 2017 and has dreamed of getting his GED for many years. In Jan. 2018, Robert jumped at the opportunity to apply for the GED pathway through the comprehensive education program, Best You EDU™. This first-of-its-kind program launched on Jan. 22, 2018 by Brinker International, Inc. (owner of Chili’s and Maggiano’s Little Italy®) in partnership with Pearson to offer Brinker Team Members, from hourly to management, education opportunities at absolutely no cost to participants. In only four weeks, Robert quickly earned his GED credentials. From there, he immediately applied for the associate degree program in Best You EDU, was accepted into college and started his first semester in June! Best You EDU was designed to meet Team Members where they are on their educational journey, offering three main components: Foundational Education and ESL, GED and associate degrees. Robert is proof that a Team Member can obtain his or her GED and get into college in months versus years with help from his or her employer. Brinker International, Inc. is one of the world’s leading casual dining restaurant companies. 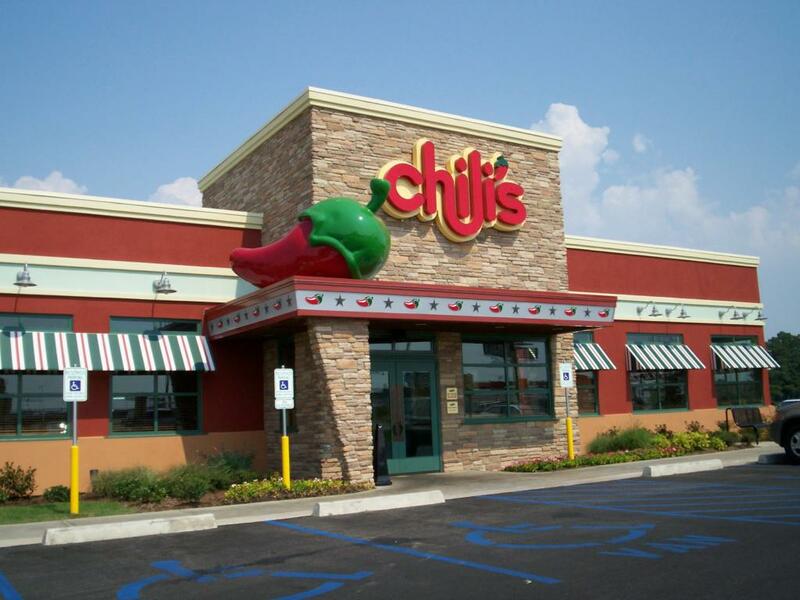 Founded in 1975 and based in Dallas, Texas, as of the fiscal first quarter ended Sept. 27, 2017, Brinker owned, operated or franchised 1,682 restaurants under the names Chili’s® Grill & Bar (1,630 restaurants) and Maggiano’s Little Italy® (52 restaurants). Buffalo Wings & Rings has elevated the chicken wing experience for more than three decades and this year, the club-level sports restaurant brand is elevating the celebration of National Chicken Wing Day on Sunday, July 29 by kicking off a month-long celebration of all things chicken wings. “One day is simply not enough to truly appreciate the glory of the chicken wing. So, as part of our celebration of National Chicken Wing Day we are also giving wing fans an entire month of delicious new sauces, specials and ways to experience chicken wings,” said Diane Matheson, Vice President of Marketing for Buffalo Wings & Rings. During what Buffalo Wings & Rings has dubbed National Wing Month, the restaurant chain will introduce two new limited time seasonal sauces – Charred Jalapeno and Garlic Perez Style. The Charred Jalapeno are boneless wings with ranch style sauce, made with pureed charred jalapenos, fresh cilantro and lime, dusted with smoked ancho chile, while the Garlic Perez Style are boneless wings with a bold garlic butter sauce that pack a little heat. The two new sauces were created as part of a sauce competition that Buffalo Wings & Rings held, open to employees and team members across the entire system. The Charred Jalapeno was created by Greyson Kohrs, manager of the company’s Oakley, Ohio restaurant and the Garlic Perez Style was created by Gerardo Perez, kitchen manager of the company’s Liberty Way restaurant. Besides the new sauces, guests at Buffalo Wings & Rings will also have two new ways to experience their wings during National Wing Month – the Three-Style Free-Style Wing Sampler and the Three Wing Fix. The Three-Style Free-Style Wing Sampler will give guests the opportunity to try any combination of wing style including traditional, boneless grilled, boneless fried or cauliflower, and pair with individual servings of any three sauces, allowing them to have fun mixing, matching, dipping and exploring with the different sauces. The Three Wing Fix will give guests the chance to upgrade their side by getting three wings any style instead of a standard side item. More information on the National Wing Month celebration can be found at https://www.buffalowingsandrings.com/. Established in 1984 in Cincinnati, Ohio, Buffalo Wings & Rings is the ultimate sports restaurant franchise providing a club-level experience with better food, VIP views and our Buffalove ® Service Promise. The franchise is taking game-time to the next level with bright, inviting dining rooms, elevated fan experiences and a chef-inspired menu featuring a rotation of seasonal and diverse limited-time offerings, fresh salads, homemade Bleu Cheese, innovative sandwich options, hand-pressed burgers and fresh, never frozen wings to satisfy every sports fan. 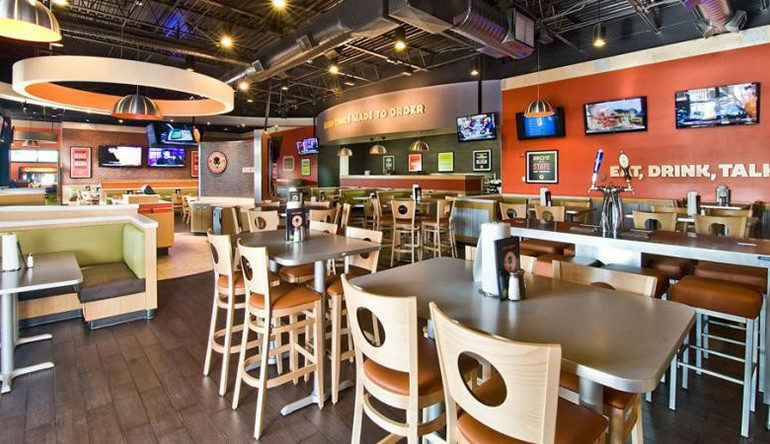 With more than 80 units across the globe, Buffalo Wings & Rings is changing the sports restaurant category, bringing elevated food and experiences that are accessible and affordable to all. For more information, visit http://www.buffalowingsandrings.com. Fast-casual restaurant concept, Freddy’s Frozen Custard & Steakburgers, announced today that it will offer $1 single cone, single dish or custard cookie purchases at locations nationwide in honor of National Frozen Custard Day Wednesday, Aug. 8. For the third year in a row, Freddy’s will donate half of every single cone, single dish or custard cookie sold on National Frozen Custard Day to Kids In Need Foundation, which provides free school supplies to teachers and students most in need across the country. To date, Freddy’s has raised more than $25,000 for the nonprofit organization through its annual National Frozen Custard Day promotion. Along with cooked-to-order steakburgers, frozen custard is a staple of the Freddy’s menu. Known for being smoother and richer than ice cream due to a time-tested churning process that minimizes ice crystals and excess air, Freddy’s frozen custard is made using only America’s finest dairy ingredients. It is churned throughout the day, every day in each restaurant to produce the high-quality, fresh custard treat that made Freddy’s famous in 31 states. 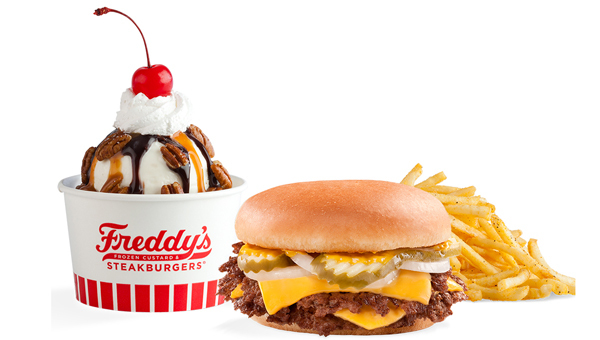 Co-founded in 2002 by Scott Redler and Bill, Randy and Freddy Simon, Freddy’s opened its first location in Wichita, Kansas, offering a unique combination of cooked-to-order Steakburgers, Chicago dogs, and other savory items along with its signature desserts prepared with premium frozen custard churned fresh throughout the day. Today, 302 Freddy’s restaurants serve 31 states across the nation from California to Pennsylvania, Virginia and down the East Coast states to Florida. In 2018, Freddy’s has been named for the fifth year in a row as one of the top 10 on Franchise Times magazine’s Fast & Serious list, and for a sixth time to Entrepreneur’s Franchise 500 list (ranked #44). In 2017, Freddy’s was included on Inc. Magazine’s 500/5000 list of “Fastest-Growing Private Companies” for the fifth consecutive year. Other notable accomplishments include a feature on Consumer Reports’® lists of best burgers, cleanest fast-food restaurants and those with the best service last published in 2014, and first-place winner of many local newspaper readers’ choice categories throughout the U.S. including Best Burger, Best Fries, Best Hot Dog and Best Dessert. For more on Freddy’s, visit the Newsroom, or follow us on Facebook, Twitter and Instagram for the latest news. To learn more about National Frozen Custard Day at Freddy’s, visit https://freddysusa.com/frozencustardday/. The Kids In Need Foundation’s mission is to ensure that every child is prepared to learn and succeed in the classroom by providing free school supplies nationally to students most in need. The Kids In Need Foundation, a national 501(c)(3) charitable organization founded in 1995, has distributed $1 Billion in school supplies, directly benefiting 6.2 million students and 200,000 teachers in 2017. For more information, visit KINF.org, and join us on Facebook, Twitter and Instagram: @KidsInNeed. The Patch Boys, the FIRST and MOST-TRUSTED drywall repair franchising company in the nation, is experiencing explosive growth as it introduces its concept across the nation. A completely mobile business, The Patch Boys provides homeowners, landlords, property managers and business owners with a highly focused wall patching service – a specialization that most general contractors, electricians, plumbers, handymen and construction companies don’t want to do or can’t do very well. The franchisor now has more than 60 locations in 28 states, including 19 that already opened this year. These include new territories in Denver, CO, Salt Lake City, UT, Ft. Worth, TX, Dallas, TX, Virginia Beach, VA, Little Rock, AR, Austin, TX and Raleigh, NC. There are also over 30 territories in the pipe line. Entrepreneur magazine recently named The Patch Boys among one of the 2018’s Up-and-coming brands, while FranchiseRankings.com has ranked them in the TOP-10 franchises in multiple categories. The company’s growth over its last 3 years, has consistently grown by approx 8% month over month. In addition to working with homeowners, landlords and property management companies, The Patch Boys also subcontracts services directly to general contractors, roofers, electricians, plumbers, HVAC companies and other trade professionals who may not have the time or resources to repair damages to drywall as a result of their services. Moreover, a simple business model and proprietary computer technology allows Patch Boys franchise owners the luxury of operating the business from the comfort of their own homes. Founded in 2008 by entrepreneur Leo Goldberger, The Patch Boys has become synonymous with drywall repair. Recognizing that most general contractors and other trade industry professionals lack the time and resources to repair drywall damage caused by their services and other unforeseen forces, The Patch Boys strives to provide landlords, property managers, businesses and homeowners a reliable and efficient service to get their properties back to normal as quickly as possible.